92 pages | 40 B/W Illus. Designed to give non-engineers an understanding of systems engineering, Systems Engineering Simplified presents a gentle introduction to the subject and its importance in any profession. The book shows you how to look at any system as a whole and use this knowledge to gain a better understanding of where a system might break down, how to troubleshoot the issues, and then quickly resolve them. And does it all in a way that does not require sophisticated technical training or complicated mathematics. 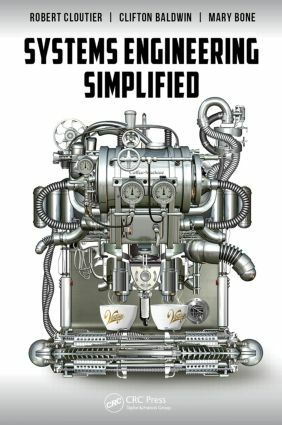 The book takes a holistic approach to thinking about the complex systems, providing a deeper understanding of the underlying nature of the system and the vocabulary of systems engineering. The authors give you working knowledge of the processes used to design, build, test, operate, and maintain the systems that we depend on every day. They break down the systems engineering life cycle, describing in the simplest terms what should be done along the development process. Although there are many facets of systems engineering, it can be explained as focusing on addressing why a system is needed, what the system must do, and then how the system will accomplish the task over the entire life of the system—in that order. This fundamental review covers the processes from beginning to end, in plain language, giving you an overview of systems engineering that you can translate into your work in any field. "… an essential fundamental review of the principles of systems and systems engineering designed to illuminate the subject for a general audience. … will help you understand the broad outlines of how systems work, and what systems engineers do to design, build, and operate them. It is an indispensable guide to the perplexing realities of the twenty-first century." "… written by authors well experienced and qualified in the field. … could be on the reading list for students, engineers, and managers for easy reading on the commute to the complex world of design, manufacture, and use in which they interact every day." "Systems engineering, as a discipline, needs this book. We live in an information intensive age, and being able to simplify systems engineering for those that do not practice it every day, has incredible value to our future. The better we can find ways to make topics such as systems engineering understandable to more, then the better society will be in solving tomorrow’s complex problems. Systems Engineering Simplified does just that. It makes the complex or complicated digestible." "… unique in the way that it presents systems engineering in a simplified way. Not that all other books are necessarily very comprehensive, but this one is meant to give a brief and yet thorough introduction to systems engineering, and it succeeds in doing so."